Perhaps you’ve seen Morgan Spurlock’s documentary, “Super Size Me” where he takes McDonald’s to task with an experiment over 30 days to see how unhealthy McDonald’s food is. Well, filmmaker Tom Naughton, decides to do the same experiment but prove it’s possible to lose weight eating only fast food for 30 days and in the process takes not only Morgan Spurlock to task, but also the US Government, consumer action groups, and basically every diet and exercise guru who advocate low fat, high carb diets. Naughton points out that in Morgan Spurlock’s “Super Size Me”, Spurlock consumed over 5,000 calories a day, which by anyone’s standards, would be likely to make anyone fat. But Spurlock had three rules he was going to follow, he ate only three meals a day, would try everything on the menu at least once, and would super size the meal if asked by the clerk. Naughton pokes a hole in this because there’s no way he could put together three meals a day and hit that calorie level without adding extra food. Spurlock gained over 25 pounds during his experiment, and it’s Naughton’s claim that Spurlock intentionally “Mc-Stuffed” himself because had he only gained four or five pounds, it wouldn’t have been as dramatic a film. And repeated efforts to contact Morgan Spurlock to review his food log were refused. Tom Naughton uses humor to poke holes in various assumptions that critics of fast food tend to make. Some of those arguments that fast food restaurants make you eat their food, poor people are stupid, and that you can’t say no to “Do you want fries with that?” Naughton then proceeds to illustrate how opportunistic lawyers and consumer advocacy groups make broad generalizations and create pressure on fast food companies and law makers under the assumption that fast food companies are evil and the general public is too stupid to make smart choices. Then the government gets taken to task because of this supposed epidemic of obesity. Part of the reason why there is such an “epidemic” is that the standards by which the statistics were measured. The definition of obesity was redefined so that more people fall into that category. While it’s true people are larger than they were before, the impression the statistics are giving you is that people are 50 to 100 pounds larger than they were years ago, when the truth is the average is about 5 to 10 pounds more than in the past. Not to mention the average age of the population has increased over the last thirty years because people are living longer, and minority population groups account for a larger percentage of the total population. The scientific community in conjunction with the government get taken to task as well because scientists that do uncover the truth, aren’t funded where scientists who’ll skew their studies to come up with results that match what the government or private companies funding the studies want to hear get rewarded with more press and more importantly more grants to continue research. Starting with the Lipid Hypothesis in the 1950’s which created the whole idea that heart disease was linked to saturated fat. Much of the information contained in the film “Fat Head” is what Jorge Cruise has been advocating in his “Belly Fat Cure” program. Sugar and high carbohydrate diets are truly the culprits of a bad diet, and the health industry has a vested interest in not letting you find that out. Also taken to task are the unnatural fats such as corn and vegetable oils, which are linked to cancer. While Jorge’s been promising a documentary of his own on the dangers of Sugar, Tom Naughton has created his own documentary that not only explains exactly what Jorge wants to share, and does it in a very entertaining manner. If you think the film is pro-fast food, you’d really be selling the movie short. It’s more proactive about accepting personal responsibility for your choices, which can include fast food, but ultimately, it’s up to you what goes into your body. Naughton just shares what you really should be avoiding. Some of the experts showcased in the film are, Doctors Michael and Mary Dan Eades (co-authors of “Protein Power“), Dr. Al Sears (author of “The Doctor’s Heart Cure“), Dr. Eric Oliver (author of “Fat Politics“), and Dr. Mary Enig (author of “Know Your Fats“). Also mentioned several times in the film are the works of Dr. Gary Taubes (author of “Good Calories, Bad Calories“) but he wasn’t interviewed. What especially made me take notice was the presence of the Michael and Mary Dan Eades. I had just recently learned about their involvement in the creation of a cooking appliance known as the Sous Vide Supreme (which I have recently ordered and will be reviewing in an upcoming blog post) and they are big proponents of high protein, low carb meals. So while it seems the movie is advocating fast food, the fact of the matter its advocating making smarter choices, but to do that, you have to know what is a smarter choice is. And when the government’s guideline for a healthy meal reflects what farmers feed their animals to fatten them up before slaughter, you have to take a serious look at the information you’re being fed by the government. By learning that cutting carbohydrates and sugar, would it be any surprise that Tom Naughton not only found out that he lost weight on his 30 day fast food diet, but also found out he improved his numbers for his cholesterol counts? Naughton then decided to spend an additional 30 days exploring how a low carb/low sugar diet with a more homemade approach worked and found he lost more weight but what truly surprised him was that he had more energy than ever. It seems that all the so called “recommended” ways to eat by the government are the recipe for obesity, heart disease, and a lifetime dependent upon drug companies selling products to treat symptoms created by the poor diet in the first place. It would be well worth your time to check out Tom Naughton’s “Fat Head” Film. At the time of this writing, the movie is available to be viewed instantly by Netflix subscribers (how I happened to come across the film). 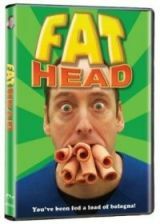 In fact, if you’re a Netflix subscriber, both “Super Size Me” and “Fat Head” are available for instant viewing and you may want to watch “Super Size Me” first and then “Fat Head” to clear your head of the “Spurlockian Logic.” If you want to purchase a copy of the film, you’re best bet is ordering directly from Tom Naughton’s blog website for the film, which is located at fathead-movie.com. Check out the movie and it will inspire you to eat better, even if you do include some fast foods in your diet. Early humans subsisted on a diet of mainly foliage and seeds with periodic access to meat and a good amount of this meat was in the form of fish. The non-fish meat coming from wild game or grass-fed beef (i.e., relatively lean). Follow the money for who funded Fat Head… Weston A. Price Foundation (Google them). I happened to come across this on Netflix earlier this year. At the time, I was struggling with regulating my blood sugar. I had been a vegetarian for one year and it completely messed up my body. After seeing this film, I cut back on carbs and reintroduced meat into my diet, which wasn’t easy. My blood sugar regulated almost instantly and I have lost some weight. I keep my carbs between 40-70, mostly veggies and berries. I find this pretty easy since my daughter is gluten-free. I am not bashing being vegetarian, but if you have any metabolic disorder it may not be the best choice. Since seeing this film I have also watched “Big Fat Fiasco” which is also done by Tom Naughton. I love how in both films everything is explained in ways even my 15 year old can understand. This is a great film worthy of watching. You are right, it can be difficult to discover the truth, but a good thing to remember is to look at who is funding the message. If you can find out who’s paying for that message to get across then you can usually see who it’s slanted towards. The current American food guide recommends this funky food pyramid where the base is grains, the next level is vegetables, then fruits, then dairy, then proteins. Well let’s see, this comes from the US Department of Agriculture, so surely the products they want to promote are grown items, such as the grains, vegetables, and fruits. Their funding would come from the producers of such products, so looks like the pyramid is skewed towards agriculture, which is not what prehistorical man’s diet was based on. You’re right every book tells you a different way to eat and it’s very easy to be confused. And when people are confused, they get frustrated. Definitely consider checking out the movie. With the current exchange rate, ordering it directly from the director should be quite reasonable to get it across the pond to you in a region free version. With scientists and the governments all lying to us how the hell are we supposed to know who to believe. Every book tells you to eat a different way so it is no wonder that people are confused….. Thanks so much for the comments. I’m happy to hear you’ve been enjoying my blog. I am trying to get back into the routine of regular writing, so hopefully I’ll have more for you to enjoy besides the upcoming Sous Vide Supreme review. I wouldn’t say I disliked Morgan Spurlock’s “Super Size Me” (afterall I did see it in the theaters and bought it when it initially came out on DVD), but I do think it does illustrate what is wrong with America. No one wants to accept personal responsibility for the situations they are in. It’s always easier to blame someone or something else for the situation at hand. Sure, McDonald’s makes an easy target because they make food that should be enjoyed sparingly but because of laziness, time constraints, budgets, etc … whatever the reason is not only quicker, and easier, but often cheaper to have on a more frequent basis than a more healthy option at home. Is that really McDonald’s fault? No, it’s just a company doing what companies do, seizing an opportunity to make money by meeting the needs of it’s consumers, the American dream in a nutshell. The consumer action groups really get under my skin, and for not wanting to unleash a tirade against those kinds of groups, I elected to just gloss over the coverage of them in my review. I do think there needs to be some surprise to outrage the public who sees the film and learning about these groups should be enough to create some outrage. What really gets on my nerves about these groups is that they’re like the Mormon church, they can’t just have their own opinion and keep it to themselves, they have to come knocking on your door trying to push their opinion on you. And in cases like their involvement in the Prop 8 scandal in California, trying to get involved in government policy to push their agenda. I don’t know what it is these groups fear so much, maybe they fear they can’t control themselves. So instead of accepting personal responsibility for their own choices, they get upset, outraged, and take action so that they force whatever they fear to be outlawed in the “interest of public safety” all because they can’t control themselves. If there’s anything that should be outlawed, it’s these consumer action groups and while we’re at it, lets outlaw political lobbiests too. Like you, I’ve watched “Fat Head” a few times and I do like it a lot. Tom Naughton needs to be applauded for coming out with this documentary. I am so glad you decided to write about this movie. I ran across it on Amazon several months ago and bought it there and watched it almost immediately when it arrived. I have always disliked the movie Supersize Me although I could never put my finger on the reason why other than Morgan Spurlock appeared to be an opportunist. After seeing Fat Head I was able to clearly see why and Tom poked many holes in Morgan’s assertions. I also learned a lot including something you did NOT mention and that’s that the so called “consumer group” Center for Science In The Public Interest (CSPI) is actually a group whose purpose is to promote vegetarianism and actually proposed the use of transfats in the first place and later did an about face and denied it and then claimed they were bad. The movie is well worth a few watches and I’ve seen it a few times now. I always enjoy your blogs and am looking forward to the one about the SousVide Supreme.